Dr. David Anderson, an orthopedic surgeon with OrthoCarolina, has a philosophy about our modern ethos. If think about an average day for a surgeon, you may get the potential irony. His demanding workweek requires long days in the operating room and even longer days in his office, where Dr. Anderson often sits behind as many as four screens at a time. But this dedicated physician doesn’t ignore his own recommendations. When not helping patients overcome the pain and pressure associated with chronic and often degenerative spine issues, Dr. Anderson heads for the hills to decompress. He gets his love for all things outdoors honestly. Growing up in Michigan, Dr. Anderson was an all-around athlete playing multiple sports. His family took weeklong boat trips on the many waterways of the Midwest and his weekends were often spent water skiing and wakeboarding. He picked up a love for mountain biking while attending the University of Michigan and continued to hit the trail well after graduation. Now, with a wife and a 16-month old daughter, Dr. Anderson spends much of his outdoor time running the roads and greenways closer to home (Four Mile Creek Greenway is one of his favorites). But when there’s a full day available, hiking is his favorite activity. 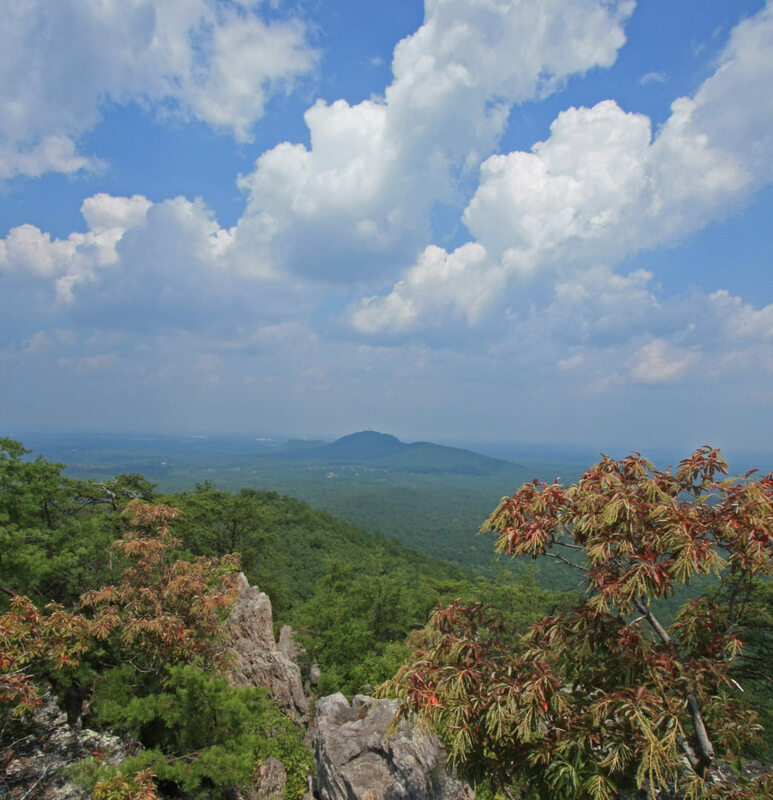 With its proximity to Charlotte, just a 30-minute drive from most parts of the Queen City, Crowders Mountain State Park is in regular rotation for the doctor. 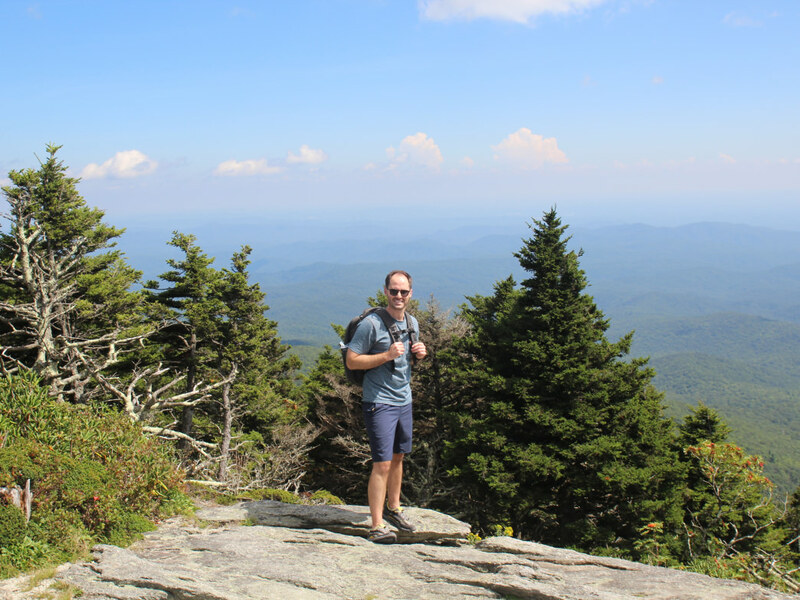 A recent excursion, however, led him to the amazing views and trails of Grandfather Mountain. While it’s important to unplug from technology and get outdoors, Dr. Anderson admits that sometimes he struggles to get there just like everyone else. And when that happens, he just thinks about his daughter. Not sure how to fill Dr. Anderson’s prescription for outdoor activity? Here are three of his favorites. So get going. Doctor’s orders. Four Mile Creek Greenway is actually one of three greenways that connect to create a nearly 6-mile stretch of shady path. (The other two are McMullen Creek and Lower McAlpine Creek Greenways.) Several small ecosystems exist along the trail, including a wetland area known to showcase a diverse array of fauna. Easy access to this collection of greenways is found on at the parking lot on Pineville-Matthews Road across from the Trio Restaurant (also a great spot to grab a pizza after you finish!). There’s no closer place to Charlotte for great views and significant elevation than Crowders Mountain State Park. Begin your day at the Sparrow Springs Access—often referred to as the main ranger station. You can bag two peaks in the park in under 10 miles by looping together a couple of the trails here, or take a pleasant stroll around the peaceful, 9-acre lake. If you don’t want to hike, there are plenty of other activities, too. You can go fishing or take out a canoe and paddle around the lake, and there are opportunities for bouldering or rock climbing (in designated areas). There are also several backcountry campsites that are just a mile from the parking areas, making this a wonderful spot to test out your backcountry skills before going on a big trip. The interpretive center and friendly rangers will provide all the information you need for your first visit to the park. 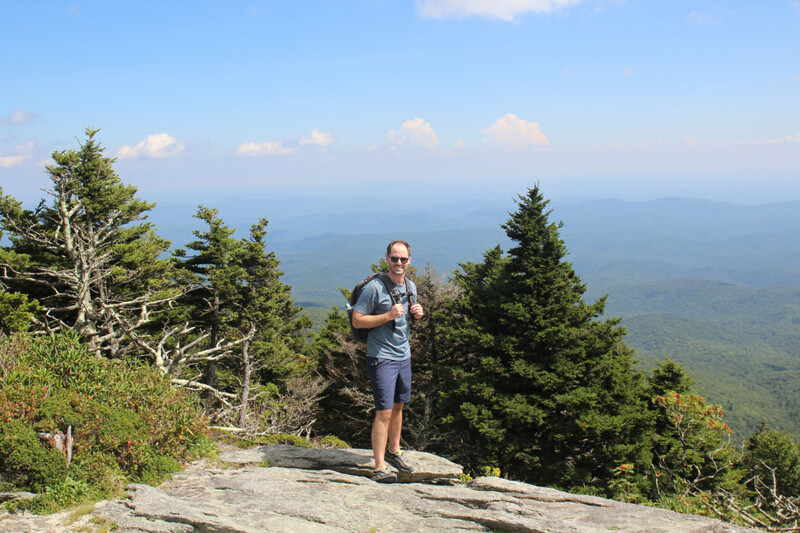 Grandfather Mountain State Park is an iconic destination for any outdoor lover. The incredibly photogenic mile-high swinging bridge makes an appearance on many calendars. The wildlife reserve offers an intimate encounter with mountain lions, river otters, and black bears. And the trails that weave through forests and climb the park’s precipices are among the most rugged in North Carolina. 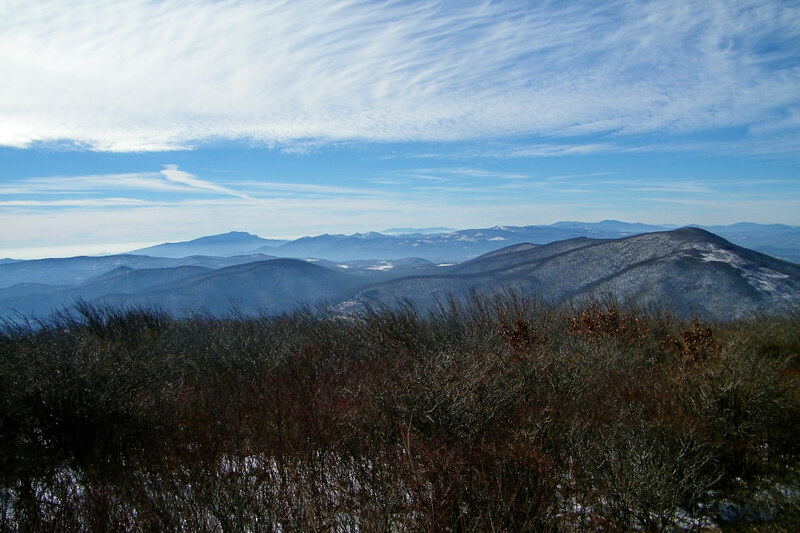 To avoid some of the crowds, begin your hike at the Profile Trailhead on NC 105. From here, jump on the challenging, 3.1-mile (one-way) Profile Trail through wildflowers and across the Watauga River. Be prepared for steep and rocky sections on your way to the end of the path, where it connects with the Grandfather Trail. Every adventure needs fuel and Dr. Anderson’s Charlotte area choice is Living Kitchen. 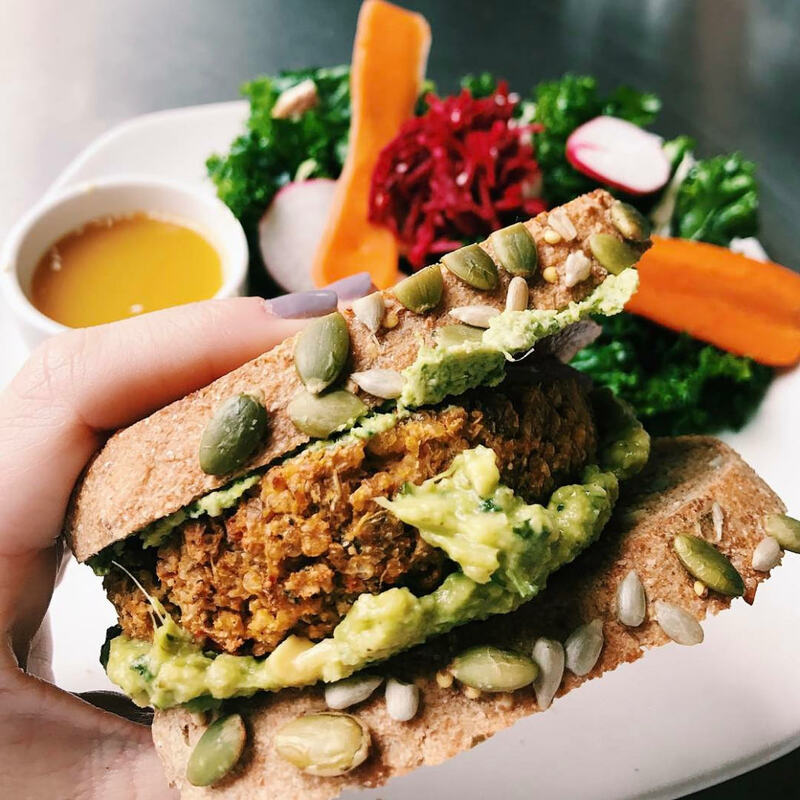 This vegetarian/vegan-friendly eatery coaxes amazing flavor profiles from simple, fresh ingredients. Their juice mixes and smoothies definitely hit the spot after a hot hike at Crowders and the Rawco Taco will replace all the energy you spent out on the trail. The food is so good that even the biggest meat eater in your group will be able to find something here!